‘Punjabi’ refers to those who speak the Punjabi language, and share a cultural heritage of roots in India and Pakistan. Most of the speakers are in the Punjab region of India (29,102,477) and Pakistan (76,335,300), but there is also a diaspora of 10,000,000 worldwide. In 2017, Punjabi Churches in Western Canada approached the Canadian Bible Society with a request to revise the Punjabi Common Language (CL) Bible. The Punjabi CL Bible was translated by the Bible Society of India (BSI) in the 1970s and bears a resemblance to the English Good News for Modern Man (GNT) translation, in terms of style. A need to update the existing Punjabi Common Language (CL) version by correcting the various spelling mistakes and inconsistencies, and by fixing serious omissions in the text. A need for a far-reaching revision of the Punjabi CL in the direction of a more formal, literary text. The pastor was correcting the text passage by passage as he preached! This is the need that the ‘updated’ CL would address. Further afield, God is bringing many Sikhs (the core religion of Indian Punjabis) to faith in our day, and the more formal, precise revision could be a key component in the evangelism and formation of many Sikh people who are finding faith in Jesus Christ. This entire project will span over 6 years, to be implemented in three phases. Preparation Phase. Digitization of the whole Punjabi CL Bible text, currently underway through the combined efforts of the Bible Society of India and the Canadian Bible Society. The digitization, already well underway, will be completed in 2018. Phase I: 3 years. 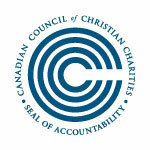 CBS will work with the Punjabi Church in Canada to produce a corrected, updated version of the Punjabi CL text. This phase will take three years, since the changes are relatively superficial. Step 2 is getting launched now. A training event for project personnel will take place June 18-22 in Calgary, and the revision team will begin work in July 2018! Phase II. 4 years. The deep revision of the text will take an additional four years. The result will be a more formal, accurate text (similar in style to the New International Version), one which can be used in Bible study and teaching. It is not intended to compete with the updated CL text, but to complement it. Both Bibles have a place in the church. Phase II will begin in July 2019, and will run concurrently with Phase I for two years. The entire project should end in July 2013. Revising a Bible translation is challenging work; it takes a dedicated team of local speakers, translator-revisers and consultants several years to complete. The estimated budget for this 6-year project is $530,000. The cost of digitizing the whole CL Bible is $2600 (by having someone type it into our translation software, and then proofread the keyed-in text). $33,700 will put the updated and corrected CL Pentateuch in Punjabi hands. $46,800 will put the updated and corrected CL New Testament in Punjabi hands. $167,240 will get the whole CL Old Testament updated and corrected. Please inquire for other specific books or sections of the Bible. $69,200 will put the extensive revision of the whole New Testament in Punjabi believers’ hands. $247,300 will put the extensive revision of the whole Old Testament in Punjabi believers’ hands. Please inquire for specific books or sections of the Bible. Thank you for your partnership in this important endeavor. Help make God’s Word available to the Punjabi diaspora in North America with your gift today. Help bring the light of God’s Word to the Punjabi diaspora in Canada. Pray for wisdom and divine inspiration for the Punjabi translation team as they start Phase III of this project. Pray also for their safety as they travel for training and consultation work. Pray for God’s provision so that this project will finish on time. Pray that the revised Punjabi Bible(s) will be a blessing to the Punjabi churches and communities.